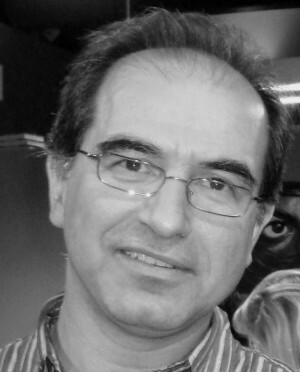 Dr. Pantelis Kalaitzidis, ThD (Thessaloniki), MA Philosophy (Paris-Sorbonne), is Director of the Volos Academy for Theological Studies (Greece), and Marie Curie Fellow at Leuven Catholic University (Belgium). He teaches Systematic Theology at the Hellenic Open University (Thessaloniki, Greece), and has taught at Holy Cross Greek Orthodox School of Theology (Boston), Princeton Theological Seminary, Princeton University, the Center for World Catholicism and Intercultural Theology (DePaul), and St. Sergius Theological Institute (Paris). He has published three books and over eighty articles in numerous languages on the eschatological dimension of Christianity, the dialogue between Orthodox Christianity and modernity, theology and modern literature, religion and multiculturalism, religious nationalism and fundamentalism, and issues of renewal and reformation in Orthodoxy. He has also edited volumes as well as the Greek series “Idiomela tis Indiktou” and the English series “Doxa & Praxis: Exploring Orthodox Theology.” His latest book is Orthodoxy and Political Theology (WCC Publications: Geneva, 2012).